In this book Sir Noel Malcolm advances three propositions. The first is that there is no moral or philosophical basis for human rights; they are essentially political. The second is that the jurisprudence of the Strasbourg Court has been unsatisfactory. The third is that the United Kingdom should pull out of the European Convention on Human Rights (ECHR) and replace this with its own domestic Bill of Rights. I shall consider each proposition in turn. Some human rights require the State to strike a balance between the freedom of the individual and the interests of society as a whole. Such an exercise can properly be described as political. But fundamental rights derive from the human condition itself. They are rights that must be enjoyed if life is to be preserved and to be worth living. The right to life itself, the right not to be tortured, the right not to be enslaved or subjected to forced labour, and the right to liberty are freedoms from physical abuses that, if they occur, are bound to cause distress, often acute distress, to anyone. Other rights are rooted in moral principles – the right to a fair trial; the right not to be punished without law. As Sir Noel recognises, it is of fundamental importance that these basic rights should be respected in any society. The ECHR defines some human rights in the most general language. The Strasbourg Court has been given the difficult task of defining these rights in practical terms. In performing that task the Court has treated the Convention as a “living instrument”. It has altered the scope of rights to give effect to changes in social attitudes in the Member States. Lord Bingham described this approach, with approval, as the protection of rights “in the light of evolving standards of decency that mark the progress of a maturing society”. Sir Noel, in discussion, accepted the legitimacy of this approach. He criticizes the Court, however, for a failure to lay down and adhere to clear principles and, in particular, for encroachment on areas that should properly be left to the discretion of the governments of the individual democracies under the margin of appreciation. More significantly he criticizes the Court for expanding the scope of the Convention beyond that agreed by the signatory States. 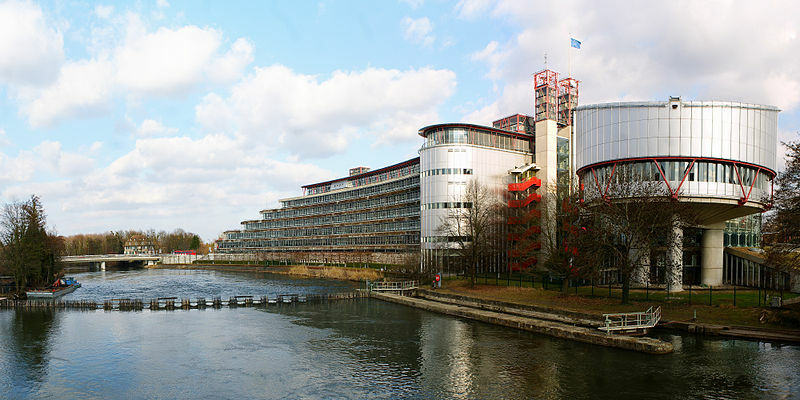 Any court will sometimes get the answer wrong, and the Strasbourg Court is no exception. Sir Noel focuses, as an example, on the decision of the Court in Hirst v United Kingdom and the cases that followed – the prisoners’ voting saga. I agree that this is a particularly unhappy area of Strasbourg jurisprudence. There are, however, more compelling examples of what I consider to have been unwarranted extensions by the Court of the scope of the Convention. Understandable concern for human rights has, led the Court, on occasion, to overlook the importance of not exceeding its mandate and the adverse reactions that so doing can provoke in individual Member States, as exemplified by Sir Noel’s book. Under Article 1 of the Convention the Parties agree to secure the Convention Rights to everyone within their jurisdiction. It was initially accepted that the concept of jurisdiction was essentially territorial. The obligations undertaken by the Parties related to the manner in which they treated people within the territories over which they had jurisdiction. In the case of Soering v United Kingdom the Strasbourg Court observed that, while Article 1 set a limit, “notably territorial” on the reach of the Convention it would be contrary to the underlying values of the Convention, and consequently a breach of Article 3 of the Convention, to extradite a fugitive to a State where there were substantial grounds for believing that he would be in danger of being subjected to torture. In the subsequent case of Chahal v United Kingdom the Court applied the same principle in ruling that it would infringe Article 3 to deport a failed asylum seeker to India where he would risk torture, even though his presence posed a threat to the security of the United Kingdom. While I well understood the motivation for these decisions I had reservations about their legitimacy. Their effect was to import into the Convention an obligation to give asylum. My doubts were not assuaged when the Strasbourg Court applied the same principle in an Article 6 case – Othman (Abu Qatada) v United Kingdom – a decision that was not well received in the United Kingdom. Recently the Strasbourg Court has made a much more radical extension to the scope of the Convention. In Bankovic v Belgium claims were brought in respect of deaths or injuries caused in Belgrade by airstrikes by NATO forces intervening in the Kosovo conflict. The issue was whether the victims were “within the jurisdiction” of the NATO countries involved, for the purposes of Article 1. The applicants sought to equate jurisdiction with control in the context of individual human rights. Because the lives of the victims came under the control of the NATO forces, they were bound to observe the “right to life” guaranteed by Article 2. The Grand Chamber rejected this submission. It also rejected the submission that the meaning of “jurisdiction” could vary over time under the “living instrument” doctrine. The Court held that the concept of “jurisdiction” was essentially territorial. The Court further rejected the submission that you could “divide and tailor” the obligations under the Convention so that there could be circumstances in which only some of the Convention rights had to be secured by a State. Applying the Convention on a territorial basis engaged a State’s obligations in relation to all the Convention rights. Some of my colleagues applauded this decision. I considered it unprincipled. The parties to the Convention never intended that it should apply to warlike operations carried out by Member States in foreign jurisdictions. Should we then pull out of the European Convention and replace it with our own Bill of Rights, with our Supreme Court as the final authority in enforcing this, as Sir Noel suggests? I do not believe that we should. This country was at the forefront in promoting the European Convention on Human Rights. Our reason for doing so was not that we felt the need for assistance in protecting human rights in the United Kingdom. We complacently believed that our domestic law already did this. It was because we felt that steps had to be taken to ensure that other countries in Europe did not abuse them. The atrocities perpetrated by Nazi Germany should never be permitted to occur again. It is instructive to scroll through the judgments of the Strasbourg Court. There are scores and scores of judgments in respect of applications against other members of the Council of Europe, but very few indeed against the United Kingdom. I am not aware of the effect that these judgments have on the protection of human rights in the countries to which they relate, but the volume of applications that are made suggests that the jurisdiction of the Strasbourg Court is beneficial. In these circumstances I believe that it would be lamentable to withdraw our support from the Convention and the Court. I suggested in debate that others might be only too keen to follow our example and, as I write, I learn that Russia has indicated that it is considering withdrawing from the Convention. I put my views to Sir Noel and his answer was that his approach had been to consider what would be best for the protection of human rights within this jurisdiction. If that is your starting point then there is much to be said for his conclusions. Lord Phillips of Worth Matravers was the last Senior Law Lord and the inaugural President of the Supreme Court of the United Kingdom. He previously served as Lord Chief Justice of England and Wales and Master of the Rolls. He sits as a cross-bench peer.